You have a background in business management, can you tell us how the idea for the Australian Literacy & Numeracy Foundation was born? Was literacy always something that interested you? I met Mary-Ruth Mendel, ALNF co-founder, way back in 1994. We instantly became friends and a year later business partners, when we created an extension of Mary-Ruth’s private speech pathology practice, The Sydney Literacy Centre. A few years later, television coverage of Mary-Ruth’s success with clients experiencing reading, writing and comprehension impairment led to an avalanche of phone calls (more than 3,000) from distraught parents and community members wanting to help their children, staff and family who were struggling to read at even the most basic level. Mary-Ruth and I took many of those phone calls and heard so many distressing stories. One call that will always stay with me was from a woman who had nearly killed her own child because she couldn’t read the dosage instructions on her daughter’s medicine bottle. Being a mother of four children, this truly haunted me. After that week, Mary-Ruth and I decided that we had to find a way to help more people, and so began our journey to establish a charity that could properly and equitably assist people in need of literacy support. The Australian Literacy & Numeracy Foundation was born. I have always been interested in human rights and equality - and I believe that literacy is a key component of this. Knowing this need existed, did it still surprise you the level of impairment – in reading, writing and comprehension – in children, and their families, who struggled to read at even the most basic level? I think most of us who have never struggled with illiteracy take for granted how much these skills impact our daily lives. To say that I was shocked by how many people needed our assistance would be an understatement. 47% of Australian workers are “functionally illiterate”. This kind of statistic brings home the fact that many are not getting the help they need to overcome barriers to literacy. I have seen first-hand the devastating effects that illiteracy can bring. Not only for an individual, but also for their entire family and community. As an Australian, I am committed to ensuring that the best opportunities are available to all Australian children. Learning to read and write is the vital first step to achieving this. What were the biggest challenges you faced in the early days of setting up the Australian Literacy & Numeracy Foundation (ALNF)? There have been many stumbling blocks, but the biggest hurdle is still explaining the impact and issues surrounding illiteracy, and why ALNF needs to exist. There is a perception that, because we have a system of compulsory education, literacy problems are not an issue in Australia, or that the problem really only affects people from non-English-speaking backgrounds. But this is not the case at all. For years I would receive comments such as, “isn’t it up to the Government to teach our children how to read”? My response is that, when it comes to our health we don’t expect the health department to solve everything. Quite the contrary. There are charities for each part of our bodies and every disease. Why is it that when it comes to education we constantly question the need for additional specialised support? I am rewarded daily by hearing the stories of progress and determination from the communities in which we work. Knowing that whole communities are on their way to breaking the cycle of transgenerational illiteracy, children are on the path to receiving an education, and that people are leaving the shame behind and are feeling empowered to read and write with their own children - these are some of my very many rewards. The ALNF has a number of award-winning literacy programs, including the Refugee Action Support (RAS) and Community ActionSupport (CAS) programs. What is the key to their success? All of our programs focus on sustainability, because we are in this for the long-term. We give parents and teachers the tools to teach their own kids so the knowledge stays in the community. Also, our programs are always bespoke. It’s not a one size fits all approach and we want to be led by the community as much as possible. They are the change-makers. Lastly, my staff are a determined, energetic, enthusiastic and brilliant group of people. Can you tell us a little bit about the First Language Reading Course for Indigenous Australians? It sounds absolutely amazing. This is a space that we are so excited to be working in. 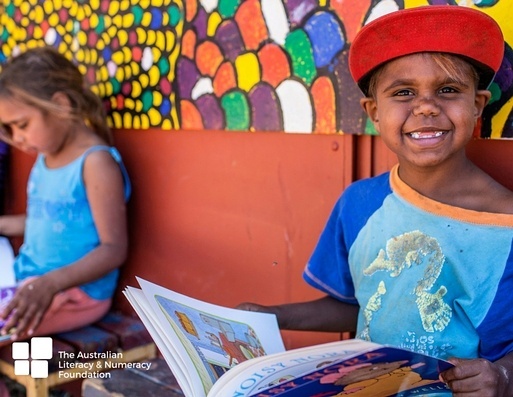 ALNF is contributing to the important revival, maintenance and revitalisation of Indigenous First Languages through our work developing literacy resources and teaching strategies in a number of oral languages. Making connections between Indigenous Australian First Language and English is vital for the development of personal and community health, welfare and education. First Language reading and writing instruction provides learners with the relevant and essential brain stimulation that can assist English language and literacy learning, retention and fluency. We are currently in the final stages of developing a digital application that can take any Indigenous language, code it, and create best-practice reading and writing tools for the community. This is very difficult to answer, because we are proud of the big, and little things. One particularly significant achievement that stands out to me is airing the first commercial on Australian Television in Indigenous First Language with English subtitles. A lot of people want to help, but don’t know where to start. What is the best way they can support the work of the ALNF? The statistics are often staggering, but we can all do something very simple to turn the numbers around. By joining the Wall of Hands campaign at www.wallofhands.com.au, we all have the opportunity to raise a hand and help close the Indigenous literacy gap. We’re all a bit crazy about books on this page so one last question for the readers before we go. What are you reading right now? The Dud Avocado by Elaine Dundy. Thank you for your time, Kim. It has been an absolute honour having you here. Hello, Kim. Welcome to my blog. So we can all get to know you a bit better, tell me a little about yourself? Hi Samantha! Thanks for having me on your blog. 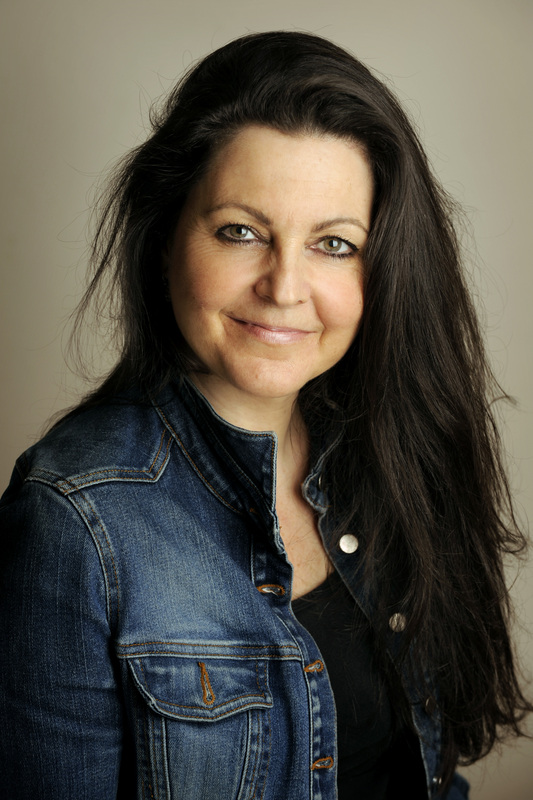 I’m Kim Kelly, co-founder of the Australian Literacy and Numeracy Foundation (ALNF). I like going to gigs, cooking and being a mum to my four amazing children. I lived in Paris for a number of years and when I returned to Sydney in the '80s, I worked in the fashion industry until my first child was born. My careers have been very diverse, but fundamentally my specialty lies in business management, which I have been involved with throughout my working life. Putting my skills towards helping disadvantaged Australians has changed my life forever and, apart from my family and friends, is the most rewarding thing. One of the best things about being an author is the opportunity to raise awareness about important issues... For me, that is childhood literacy. Books changed my life and now I want to pass on that love. So I was thrilled when I got an opportunity to interview Kim Kelly, the co-founder of the Australian Literacy & Numeracy Foundation. Read on as Kim talks about their amazing work in closing the Indigenous literacy gap, and their other life-changing literacy programs.